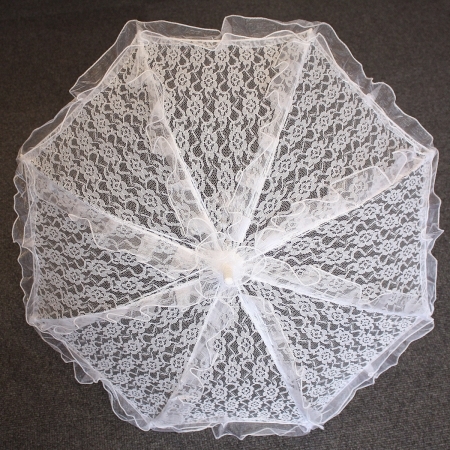 Beautiful white lace First Holy Communion parasol with net trim and lace covered handle. 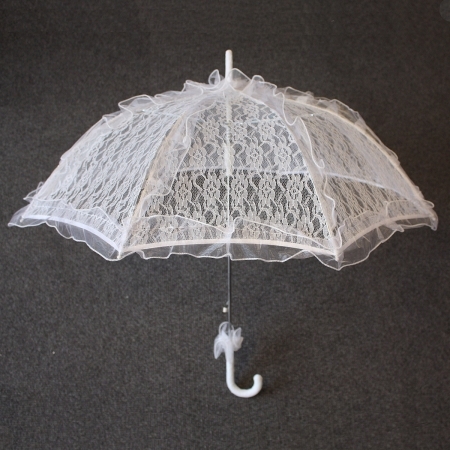 Parasols have become increasingly popular as First Holy Communion accessory. They are perfect for photo shoot.